Challenged with the task of creating enlightened whisky cocktails bartenders from Brooklyn and Manhattan went head to head in a cocktail competition featuring Great King Street, Compass Box Whisky’s versatile new blended range which challenges old school thinking that the only way to enjoy Scotch is sipping it neat from a rocks glass. 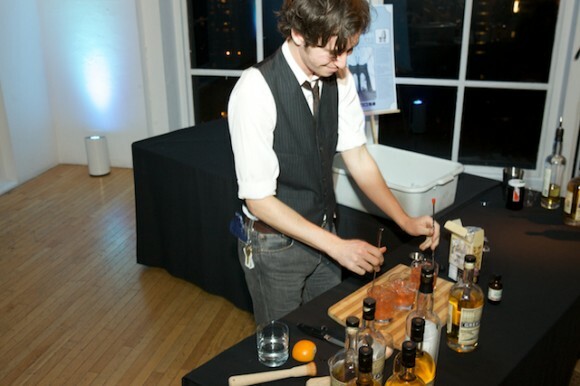 The deliciously diverse variety of recipes presented in the competition – such as Abigail Gullo’s cocktail the “Charlie Hustle” which incorporated rosemary-infused maple syrup, and Max Messier’s cocktail “Red Skies at Night” which included the use of winter spiced chai concentrate – demonstrated that the blend is indeed the most versatile style of Scotch whisky. 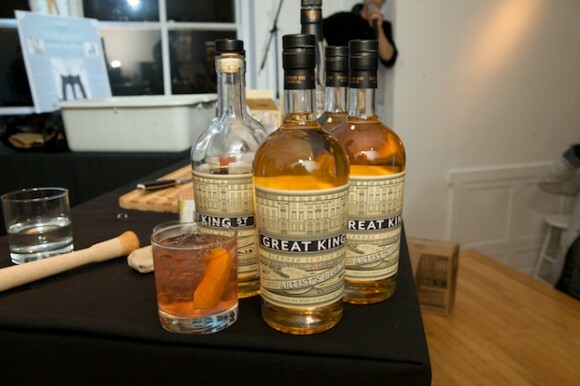 On January 23rd, at the Great King Street Cocktail at Edible Manhattan & Brooklyn and Compass Box Competition Whisky Bar Tender Competition, the local bartenders appearing on the competition’s stage did just that. 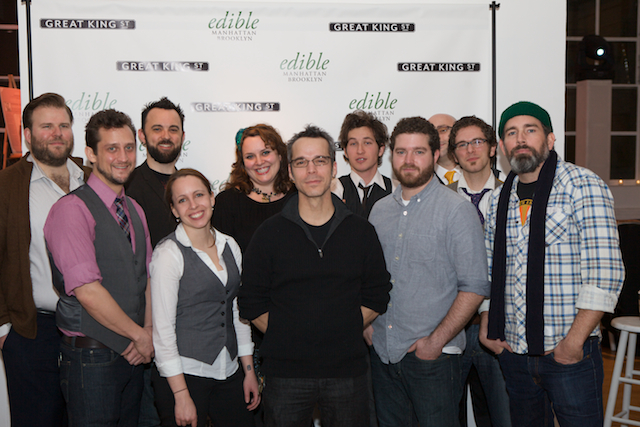 The winners of the competition were John McCarthy, whose cocktail “The McQueen,” comprised of NYC house blended orange bitters and Mexican chocolate bitters, and Anthony Sferra whose blend, “The Tinderbox,” incorporated Brooklyn-owned and made A.B. Smeby’s Highland Heather bitters. See their winning recipes below. Photo by Clay Williams. Courtesy of Compass Box Whisky. 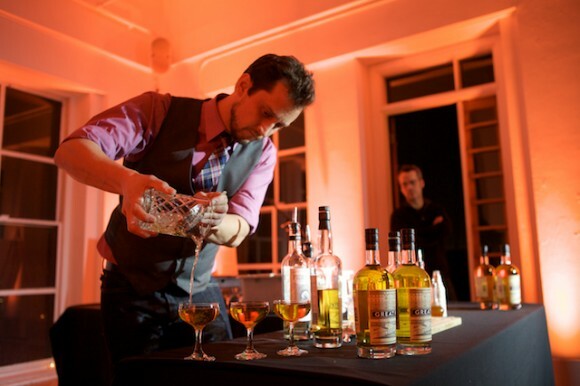 Stir ingredients and strain into a coupe rinsed with The Peat Monster. Garnish with a flamed grapefruit twist. Build in rocks glass. Muddle sugar and bitters in bottom of glass. Tilt glass at a 45-degree angle and gently roll through the hands, coating the sides of the glass evenly with sugar/bitters crystals. Add molded ice cube (preferably a sphere of Okamoto ice), stir gently. Garnish with flamed orange twist and serve.